… Suppose that a patient or client makes a proper request to inspect or copy his or her records. Does the therapist or counselor ever (under any circumstances) have a right or is it ever permissible to remove documents or information from the file prior to complying with the request for records? The answer to this question would seem to be “no,” certainly in most circumstances, but there may be times when removal of information or documents is permitted. The law of each state is different, so therapists and counselors must be careful to check the law in their respective states. 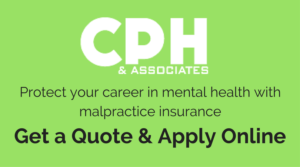 One state’s law, for example, provides that psychotherapists and other health practitioners may remove material from the patient’s file if the information was given in confidence to the health care provider by a person other than another health care provider or the patient. Additionally, under HIPAA, the “Privacy Rule” provides that a covered entity (such as, a “covered” licensed health care provider) may deny an individual access to his or her protected health information if the protected health information was obtained from someone other than a health care provider under a promise of confidentiality – provided that the access requested would be reasonably likely to reveal the source of the information. In addition to requests for records from patients, a therapist or counselor may receive a subpoena for the production of records. Much of the time, the subpoena is from the opposing party in a lawsuit involving the patient, such as a patient’s lawsuit against her former therapist, physician, or employer. While it is imperative that state law be followed with respect to the practitioner’s response to the subpoena, I have generally advised therapists to work closely with the patient’s attorney, and to generally take their marching orders from that attorney. Sometimes, that attorney will instruct (or request) a therapist to remove one or more documents from the file, or will instruct the therapist not to comply, at all, for one or more reasons. Everyone in the process may need to be reminded that the psychotherapist – patient privilege is held by the patient – not the therapist – and that when the patient has an attorney, the therapist has a right to rely upon the representations of the attorney who represents the holder of the privilege. The therapist may be reasonable in believing that the attorney is an “officer of the court” who would not intentionally mislead the therapist into acting in a manner contrary to law.